Insider thanks the OAAA for allowing us to print portions of this article. Amidst rocketing change, how do we position OOH for continued growth and prosperity? We come together to create a bold, new five-year vision for the medium that positions OOH advertising as a core media buy, right alongside mobile, social, and digital advertising. In a wonderful example of collaboration, creativity, and strategic thinking, leading CEOs and CMOs from around the industry gathered this summer and spent the next four months crafting a unified positioning strategy that will fuel the success of OOH advertising for the next five years. The companies that participated in the task force are Adams + Fairway Outdoor Advertising, Clear Channel Outdoor, Intersection, JCDecaux, Lamar Advertising Company, OUTFRONT Media, and Reagan Outdoor Advertising. The OOH Promise – our vision and positioning strategy, which explains what OOH advertising stands for and what makes it unique and powerful. Advertisers and agencies should take notice because OOH is part of the solution to many marketer’s challenges. The OOH Top Priorities List – five key priorities we need to focus on as an industry in order to fulfill our five-year vision. The OOH Value Proposition – a written pledge to customers, a new logo and tagline to signal change, and a new brochure, talking points, and presentations to be used with customers. The first thing the task force did was to develop the OOH promise. Our promise is to make OOH more of a core media buy than ever before. The vision is to elevate OOH among planners, buyers, advertisers, and agencies so that it is considered a more fundamental, essential, and core part of the media mix. Everything we do as an industry will be focused on this single-minded promise. To deliver this, we created a positioning statement and a list of top benefits that define and differentiate OOH; these are the things OOH stands for compared to other advertising media. OOH is creatively impactful – with big, bold, powerful storytelling, and a range of formats and unique locations that deliver larger-than-life impact. OOH is contextually relevant – delivering the right message, at the right time and place, to the right audience. OOH is a media amplifier – extending the reach and frequency of integrated campaigns, and driving mobile, social and digital engagement better than any other advertising medium. OOH is ubiquitous – surrounding and immersing consumers during the 70% of their waking hours away from home, when they are most receptive, and offering real-life impact that can’t be blocked, skipped, or viewed by bots. OOH is connected – using technology to strengthen engagement between brands and consumers, and to offer connected networks and platforms. OOH Is data-driven – using geo-location, audience measurement, and advanced data analytics for better targeting, insights, and ROI. OOH is accountable – customer-focused and results-driven. OOH is innovative – forward thinking, digitally native, and media fluent. Sell OOH using audience + location + data. Promote the unique creativity of OOH and its big, bold, beautiful storytelling. Offer powerful but practical innovations that all advertisers, big and small, can implement and scale. Move OOH out of its silo, and integrate it more fully into the broader advertising ecosystem. Add new solutions-oriented and results-driven competencies to the industry’s already strong sales capabilities. The OOH Value Proposition – Real. Powerful. Advertising. The final step in creating our five-year plan was to bring our industry vision and strategy to life with a new logo, a new tag line, a new written value proposition for customers, and new tools that OOH media companies can use right away to promote OOH as a core media buy. Our new logo and tagline express the power and energy of OOH advertising. Our new value proposition translates the OOH positioning strategy into customer-facing language explaining why advertisers should add OOH to the mix. Our new brochure tells the story of why OOH is real, powerful, advertising. 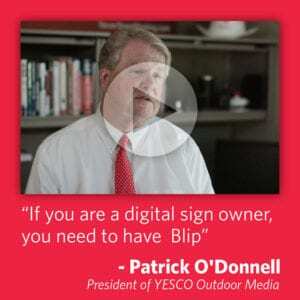 Our new talking points give OOH salespeople the messages they need to discuss OOH. Our task force PowerPoint presentation details the entire OOH brand positioning strategy and is meant for internal OOH media company use. Our updated OOH Resource Center app will be available mid-November in the Apple App and Android Google Play stores free of charge for OAAA members. It provides research, facts and figures, competitive media data, case studies, and creative tools to support the new OOH positioning. We plan to integrate this strategy into all aspects of OAAA operations, including marketing presentations, website copy, industry advertising campaigns, marketing collateral, and member communications. The content of OAAA’s ad agency roadshow will be retooled with the vision and strategy, and we will continue to visit 100 agencies each year. Of course, we know the most important and critical success factor in reaching our goals and attaining our vision is you. 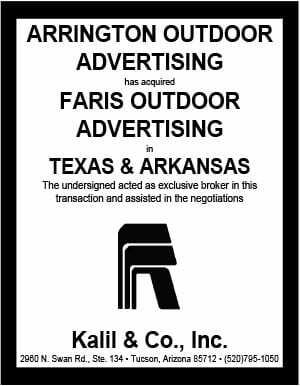 We hope you will embrace this new work and incorporate it into how you talk about, market, and ultimately sell OOH advertising. OAAA staff is also available to meet with your company, major clients, state associations, and other organizations as well. OAAA is a passionate advocate and progressive thought leader that protects, unites, and advances the interests of OOH advertising. We are proud of the new vision and strategy, which OAAA will bring to the broader OOH ecosystem. OAAA membership has expended to represent more than 800 companies including billboards, street furniture, transit, and place-based media as well as advertisers, agencies, ad tech providers, suppliers, manufacturers, affiliates, and international companies. Thirty-two new companies joined OAAA this month. OOH revenue has grown for each of the last 25 consecutive quarters, unlike other traditional media, and is expected to top $7.5 billion in 2016. The new vision and strategy will be our “roadmap” for the next five years and propel us to new heights. It is the result of the best thinking in the industry. It will bring new focus to the power of OOH advertising today. And finally, and probably most importantly, it will serve as an internal unified vision that will rally our entire industry around one single, very powerful idea: to make OOH advertising more of a core media buy than ever before. Please let me know your thoughts on this important work. I can be reached at nfletcher@oaaa.org or at the OAAA office at (202) 833-5566.